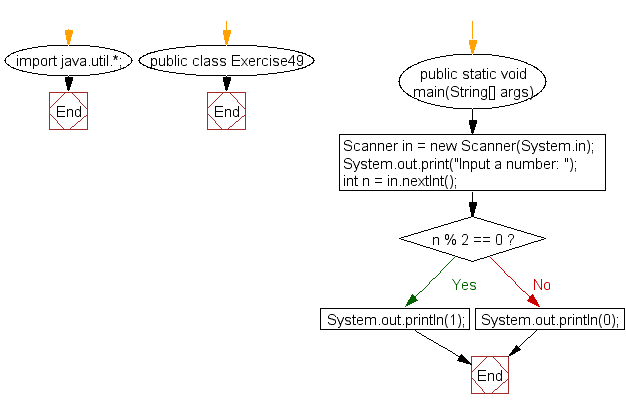 Write a Java program to accept a number and check the number is even or not. Prints 1 if the number is even or 0 if the number is odd. Previous: Write a Java program to print the odd numbers from 1 to 99. Prints one number per line. Next: Write a Java program to print numbers between 1 to 100 which are divisible by 3, 5 and by both.